Akaba was an effective rallying cry for Lawrence of Arabia and his supporters. It symbolized an unorthodox attack by an unlikely force the British intelligence officer T.E. Lawrence and the Howeitat, led by Auda abu Tavi with an improbable approach from the desert side on the port of Akaba, which is now in Jordan. Then, Arabs were fighting for freedom from the Turkish Ottomon Empire, which during World War I was a common enemy for Arabs and the British. 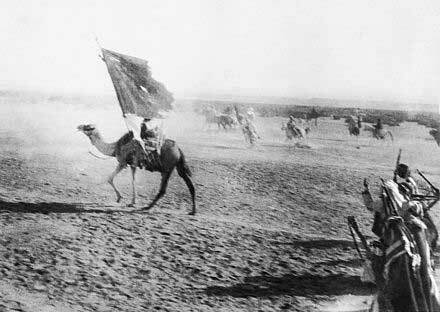 Both British and Arabs had been stalemated until Lawrence led the Arabs to victory on July 6, 1917. Once Lawrence brought word of the capture of Akaba to British headquarters in Egypt, the British Navy supported the Arab Army through Akaba as a port of entry. Like the trek to Akaba, the journey to sustainable development requires traversing a very inhospitable landscape, but victory has yet to be won and and the tribes remain unengaged. The call to action has been answered primarily by a host of researchers exploring the gap between what people say they want and would like to do and what they actually do. The sustainability concept emerged from the The Bruntland Report in 1987 as one outcome of a drive to encourage countries to pursue what was called sustainable development, which was intended to mitigate the widespread ongoing environmental degradation that seemed to accompany economic development. Since then, sustainability has been considered not only a rallying cry and a goal, much as Akaba was for Lawrence and the Arabs, but also a business agenda, a methodology, a philosophy, an ethic with organizing principles for economies in the 21st century, as well as the source of major controversy and soul searching. The Bruntland Report provided a working definition of sustainable development that made development the topic noun and sustainable a modifier, creating an oxymoronic engine that thought it could but never will: "development which meets the needs of current generations without compromising the ability of future generations to meet their own needs." As is infer able from runaway consumerism--in which the end of shopping is the pleasure of shopping--the concept of needs turns out to be highly malleable, the lovechild of advertising. For consumers in developed economies, needs have little to do with basic survival. Development for the past five hundred years has been about growing GDP and not humanitarianism or stewardship of the earth. "When we talk about sustainable development, we are really yoking together two ideas that may be irreconcilable: our established notions of development and our emergent awareness of sustainability. Our economic model for development is wholly predicated on growth: growth in demand met by growth in supply ad infinitum. We in the developed market economies consume resources with unequalled voraciousness. Our marketing machines then relay images of our appealing consumables and their associated “lifestyles” around the world in hope of creating larger markets and more active consumers. They succeed, and so we export consumerism to those who are now competing with us more successfully for access to resources. The BRICS countries are the prime examples: Brazil, Russia, India, China and South Africa, although rising middle classes defined by their ability to consume are a global phenomenon. Gross consumption of resources is our culture’s dominant, almost exclusive, way of understanding “development.” Linking it with “sustainable” simply misdirects us to believe that somehow we can continue to rely on “growing” our economies as we have until now and still magically achieve a sustainable society." Very few people understand what environmental sustainability really implies for day to day living: reduced consumerism, which implies a change in life styles and radical transformation of the producer-consumer models, which would reflect a change in what we value and how we act. Intuitively, sustainability suggests keeping on. As a concept, the term sustainability refers to a balance between the rate at which a particular resource is depleted and the rate at which it is replenished. Development using current models refers implies economic development, which as it currently exists depletes resources faster than they can be restored. Keeping on, therefore, means reducing future resources and reducing opportunities for the better quality of life that might be bestowed by those resources. Keeping on the current development path means a trek towards a precipice. For different individuals, populations, industries and countries, including the world's biggest producers as well as developing nations, keeping on rarely means sustaining either vibrant ecosystems or the highest imaginable quality of life. The top 1% of the population in California make over $438,000 a year, an income that conceivably could support a high quality of health, home, lifestyle, community, stimulation, adventure, and possibly even work. For 99% of the world, however, sustainability makes no sense, as the most desirable quality of life imaginable is yet to be achieved. While projections about the number of people the earth can support vary, most scientific studies show that the 7 billion people living the consumptive lifestyle so widespread in industrialized nations like the United States, Western Europe and Japan is unsustainable, but this consumptive lifestyle is the prevailing model for all developing countries. The reality is that continued consumption habits (shopping for the joy of shopping as a pleasure without measure of what is bought and consumption as expression of self) are at the heart of consumerism, resource depletion, and Climate Change. In short, the number one motivator of pleasure in two of the most important segments of consumers by numbers in both developing and developed nations is unavoidably the root of catastrophic failure of ecosystem vibrancy and the quality of life we all are biologically driven to strive for. 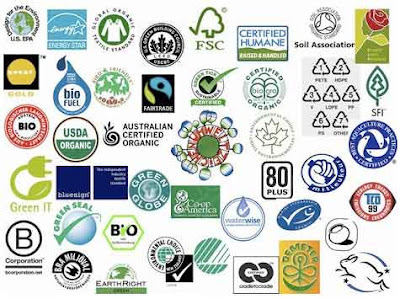 Research indicates that eco-labels confuse consumers and exacerbate distrust sustainability claims. Previous studies have clearly shown that even though individuals say that they understand the gravity of environmental issues, most fail to follow through with green purchases or significantly green practices. Information about environmental problems and how to avoid them does not lead to engagement in more green practices. Even consumers with high levels of environmental concern and awareness do not always purchase green products or engage in best ecological practices. While consumers claim to trust certifications as the most reliable information sources regarding company environmental behavior, they also tend to disregard this knowledge when purchasing. Consumers state that they would buy more green goods if they believed company claims, but these same consumers indicate that company claims on websites or promotional materials are the least trusted sources of sustainability. Further, when making purchases, consumers increasingly consult peers and social media rather than company websites. Most people cannot explain what sustainability implies for the behaviors of either producers or consumers. Recycling is the most common proenvironmental behavior, but what is recycled is a good that was consumed and most probably was not a basic need. The recycling infrastructure is well-established, with blue cans everywhere and social disapproval for littering, but nowhere are there signs promoting reduced consumption. While there are many explanations for the gap between intentions and behavior, in short, most people are insufficiently motivated and encounter too many obstacles to do what they know is the right thing to promote a high quality ecological future. The most interesting study for this post, with its underlying mission of engaging consumers and producers alike in fostering vibrant ecological systems, is a cross-national study of consumer attitudes, values, motivations and behaviors developed by BBMG, GlobeScan and Sustainability using advanced statistical modeling. Their findings indicate that across all populations surveyed, social relationships--family, friends, community, peer groups--are the most highly valued, at least as stated by consumers. In traditional markets the canonical trifecta of price, performance and credibility has remained the matrix driver, with relatively new factors such as overwhelm, lifestyle, ratings and reports, and appearance/style increasingly affecting purchasing. According to most recent studies on consumer purchasing in developed economies, key motivating factors for consumers today are the best quality (product performance) for the price, the lifestyles suggested by specific purchases to both purchaser and influential groups, convenience factors such as habit and accessibility, and the joys of shopping as an activity, which suggests deeper motivations. Relatively recent research into emerging markets suggests that the canons of price, performance, and credibility no longer accurately predict buying behavior. Consumers fail to behave according to what they say they value most for many reasons, most of which fall into the categories of 1) situational obstacles affecting the purchasing such as time, money, convenience, and 2) insufficient motivation to make a specific purchase, which includes habitual purchasing patterns, special deals on products, recents ads, peer pressure, lack of belief in making a difference, lack of knowledge of how to best address Climate Change and ecological degradation with limited personal resources, and a desire to express themselves with specific product purchasing (style, peer and celebrity values). Two of the groups identified by the BBMG study stand out as test cases for removing obstacles and providing sufficient motivation: Aspirationals and Advocates, both found in already developed markets as well as emerging markets. Aspirationals in developing markets are conisdered by the reseachers to be the most persuadable, possibly in part because their collective cultural values are more recent and more affecting than for the Aspirationals in developed countries such as the US, where individualistic values and processes dominate. The largest group, found with the largest populations in India and China, is the Aspirationals. More than half of this group indicated that they would buy more sustainable products if this behavior were to connect them to a community of peers with shared values. Their key motivator is style, and most important lever their community of peers. Consumer reviews and ratings, friends, and family provide the source of most trusted information (in addition to certifications) regarding company environmental practices, and 82% indicated that they would buy more sustainable products if they performed as well or better than their current brands. Shopping is their signature behavior, and they enjoy new products and experiences.Aspirationals actively search out information on the Internet. They expect companies to convince them that their products are produced using proenvironmental processes and to persuade them that practicing green behaviors is the right thing to do.They state that they feel responsible for the environment and would become more proenvironmental if company claims were more believable. This group could be influenced with strategically provided information in social media and marketing. The second group of possible persuadables are advocates who already have de facto leadership in identifiable groups. The leadership-followership phenomenon is a social fact of life, withtwo recent remarkable examples; the increase in double mastectomies after Angelina Jolie's well-publicized precautionary surgery and the increase in sales of Lincolns following McConaughey's film and Lincoln ads. The next post in this two-post series on engaging consumers in sharing stewardship responsibilities looks at the fine-wine community as promising models and leaders for Aspirationals in both developed and developing economies. Gallo winery, the largest producer of wine by volume in the world, is considered as a model of savvy consumer marketing. While sustainability's no Akaba, the fine-wine community could be stewardship's Lawrence of Arabia.